If you've heard Delerium, Conjure One, or even Enigma, you've heard this. 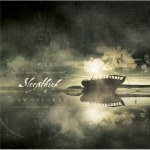 The sound of Sleepthief is the sound of a formula at work, and not even a formula that Sleepthief primary programmer Justin Elswick came up with: Find mid-tempo dance beat. Add strings (for drama). Add electronics (for "edge"). Add female vocalist (for singability). Repeat. Luckily for those who are into that particular version of the new-age electronic stylings of latter-period Enigma, Delerium, and Conjure One, he follows this particular formula perfectly for 13 tracks on his new album The Dawnseeker. Less fortunately, the use of that formula means that any one of these tracks is awfully close to indistinguishable from any other track on the disc. Breaking the mold are the two covers -- the cover of Duran Duran's "The Chauffeur" is mercifully true to the original (save for the presence of the lovely-voiced Kirsty Hawkshaw) and Berlin's "The Metro" is afforded a nice, clubby dance beat. Otherwise, only "Afterthoughts", a slowly-building, percolating treasure written and performed by previously-unknown Lauren Edman, distinguishes itself at all. Despite the talent on hand here (Kristy Thirsk of Rose Chronicles and Jody Quine of Balligomingo make appearances as well), The Dawnseeker just doesn't make an impact; perhaps Elswick should have let his obvious love of '80s synthpop carry him in another direction, far away from this soupy, sticky fog.